The Road Administration will install electronic traffic signs with changing information permanently in the second half of this year, as the one-month testing period of the signs has been successful. 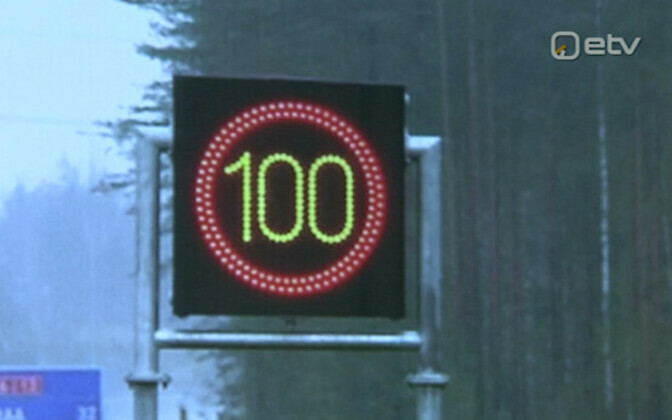 The initial tests of electronic traffic signs were successful, Siim Vaikmaa, head of the Road Administration's traffic management center, told BNS on Tuesday. Vaikmaa added that the development of the control software of the signs is planned for the next few months. Vaikmaa said that at present, the 17 signs with changing information lack an electronic connection, as there was a delay in the construction of the necessary connection points. 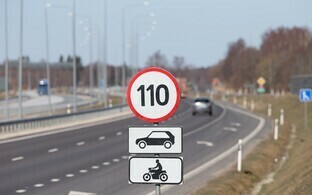 The Road Administration tested the electronic traffic signs with changing information on the Tallinn-Ääsmae section of the Tallinn-Pärnu-Ikla highway from December to mid-January. The signs will be installed along the highway as part of the Smart E67 project. The aim of the project is to reduce driving time and create a more secure modern traffic environment that takes road conditions into account in real time. The project is run in cooperation with the Latvian authorities.